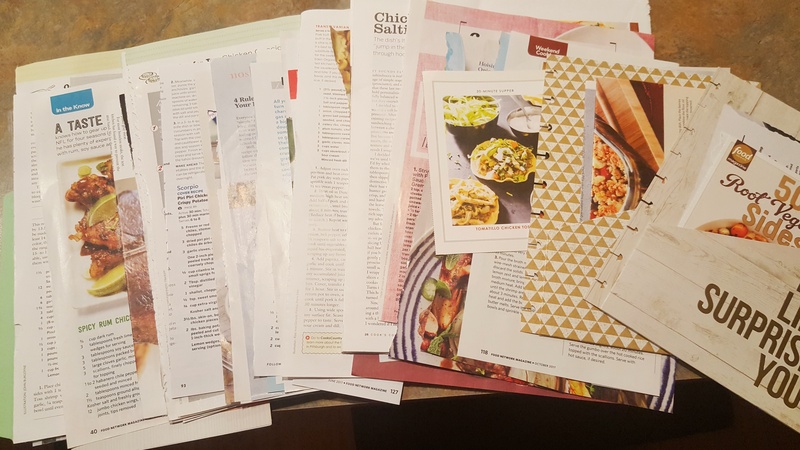 I have a confession…I receive 5 magazines a month that are dedicated to cooking, and 2 more magazines that while not cooking magazines always have seasonal recipes in them…that’s a lot of recipes to read! My recipe backlog is embarrassing really. I’m sure I could cook 3 full meals a day and it would take months to work through all the recipes I have piled up. I mean I love to cook…but…that’s a lot! Plus I have 5 new cookbooks I’m diving into. Good think I like reading recipes and finding the ones that spark my interest! Mile stack of recipes to try, not pictured the new cookbooks I’m working with as well. 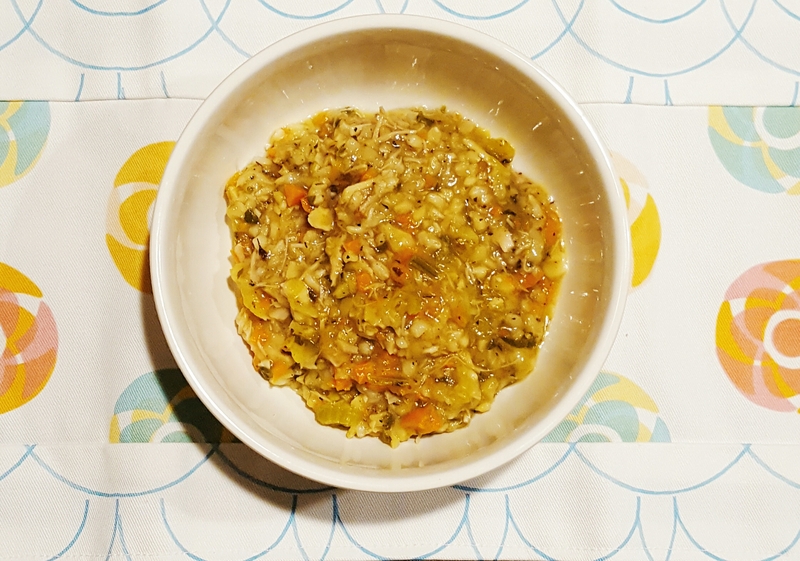 We eat a lot of new to us meals every week, and most of the time they are pretty great, but I have had a few misses as of late. Thankfully there was a standout in a string of just ok meals from Cooking Light Magazine. Total side note, but I don’t even know how I started getting this magazine…I didn’t subscribe to it and have never renewed the subscription, it’s not a magazine I get much out of, but it just keeps coming! I usually just glance through it without much thought, but I did find a keeper of a recipe in the last issue. 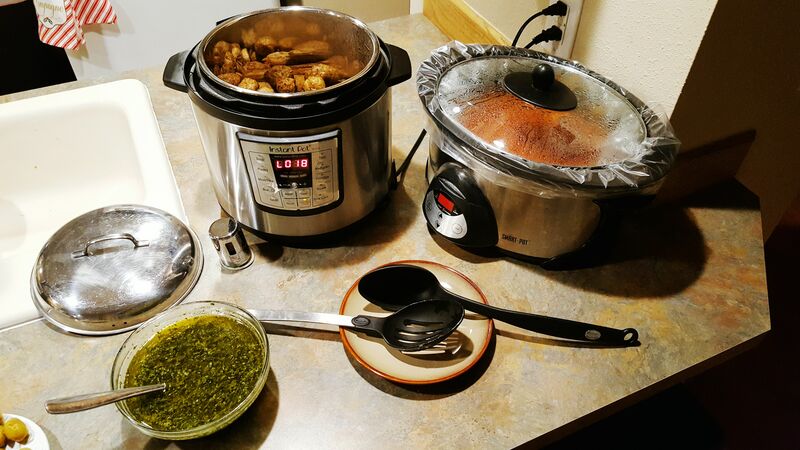 The Louisiana-Style Chicken Soup was so good that Mark is still talking about it days later and it’s going on the next two week menu cycle (I plan our meals two weeks at a time) and I’m making a double batch next time! I wanted way more leftovers than we ended up with. :With the food allergies in the house I gave up on gumbo a long time ago, it’s hard, if not impossible (for me anyway) to get a good roux without gluten and/or dairy involved. 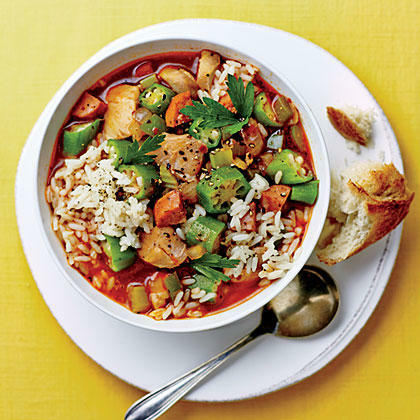 But, this soup packs in all the gumbo type flavor without the roux, we didn’t even miss it. So good, and so worth giving it a try! Check out the recipe for Louisiana-Style Chicken Soup I don’t know if Fall weather has kicked in were you are, but it is here and this is sounding like the perfect meal to warm up with! I don’t know if there is anything more frustrating for an avid home chef than burning things that are so basic! Bacon…give me a break! Ok, well I am giving myself a break because there is a good reason I keep burning the bacon…I have a new stove! As exciting as that is there is a learning curve! We went with all GE appliances in Slate, which is a matte stainless steel finish. Shows less fingerprints that way! It cooks hot and heats up fast! On my old stove 6 on the burner dial was perfection, on this stove 6 = burnt to a crisp within seconds. I’m finding that a 2 or 3 is better. Don’t even get me stared on baking…it’s a convection oven…so everything would have to be converted time wise to convection. Thankfully the convection part can be turned on or off and I have yet to jump into convection cooking. For now I’ll stick to the regular oven settings. It’s not just a new stove either…we were able to do new appliances in the whole kitchen! I still can’t get over how lovely the new refrigerator is. I just want to stand there with the doors open gazing inside. My favorite part is what I’m calling the wine shelf. It slides back to make room for the tall bottles! I love all the features this thing has! Wine glass holder bracket, the top shelf drops down lower in case there are tall glasses on the top row, the bottle jets are great for smoothie glasses that don’t get rinsed, and the bottom shelf the rows adjust to fit bigger or smaller plates and dishes. Our timing was perfect, because the night before the deliver the dishwasher died during the last cycle of dishes. All the internal workings had fallen apart and were all over the bottom of the washer. It was time. A little tip if you are in the market for appliances. We shopped at Lowes, spent a good hour there looking at all the options, and pricing things out. Ask the salesperson to print out the spec sheets on what you want, then go home and do some research. I looked at reviews and prices on several sites online. Then since we prefer to shop local, I took the spec sheets to Lakewood Appliance and asked if they would price match. They did more than match, they came back lower on everything except the refrigerator, which I’m not surprised because it’s a counter depth refrigerator and that depth is about $1,000 more then standard ones. If you have a small mom & pop shop don’t be afraid to shop the big box stores and then go to the smaller shop and see what they can do. Lakewood Appliance doesn’t have room on the floor to carry models of everything they have access to. So shopping Lowes and seeing everything in person first was super helpful. The new kitchen, with the new flooring. You will notice the old microwave is still there. We have the new, matching microwave, but we also have 13 year old, particle board cabinets that are starting to fall apart. Particularly the boards above the microwave. While new cabinets are on the To Do list, they are also a lot of $$, and we are not sure that’s what we want or can do right now. We are a little worried if we pull the old microwave all the shelving surrounding it will fall apart, so for now we are leaving it as is until we get a quote on new cabinets and know what we are dealing with $ wise. Now that almost all the new appliances are installed I just have to figure out how to make the most of all the new bells and whistles. The stove man, that is my priority. I don’t feel like I can even host dinner at my house for friends because things are burning. I’ll get it down though! If you are local to Tacoma/Lakewood I can’t recommend Lakewood Appliance enough. They have been awesome with every purchase we’ve made. They know a lot about all the different brands and options and sell what they know works, not what has the highest price tag. Oh my goodness I have become obsessed with smoothies. Not the kind with yogurt and sweet stuff in them, more like give me all the greens with a lot of ginger kind of smoothie. Ever since giving up coffee, and caffeine of any kind, it’s been smoothie city around here. Let me tell you giving up coffee/caffeine was hard. It took me two years of trying and failing, to finally make it stick. I was sicker than a dog for about two days with extreme body aches and joint pain, and headaches when I cut it out completely (I had tapered switching to decaf for a few months before stopping completely) and that was all I need to convince myself of how bad it was for my body (never mind that I had been having health issues due to caffeine for some time…that should have convinced me right there…duh), and stay on the wagon! Back to the smoothies…so I’ve been ordering them anywhere I can get them, that makes them healthy. I want greens, fruit, ginger, and water, or fresh squeezed juice/organic no sugar added juice smoothies. And, let me tell you there are not that many places around here that make them like that and if they do it’s a lot of $$. So, I resorted to experimenting on my own. 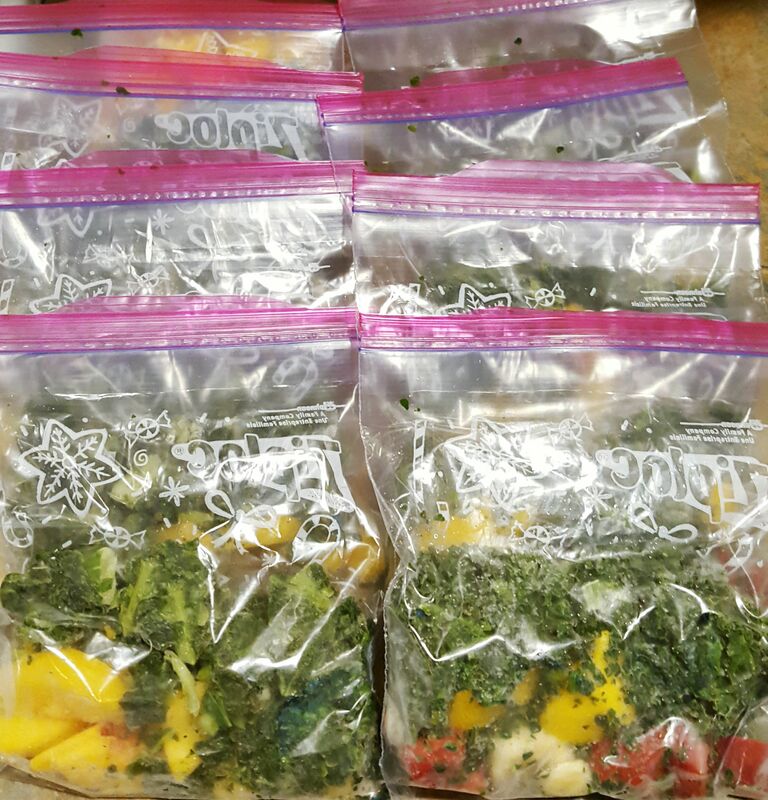 A few tips, when you find a blend that’t right for you, freeze your smoothie makings in zip-lock bags, in single serving sizes. That way when you have a craving it’s ready to go! 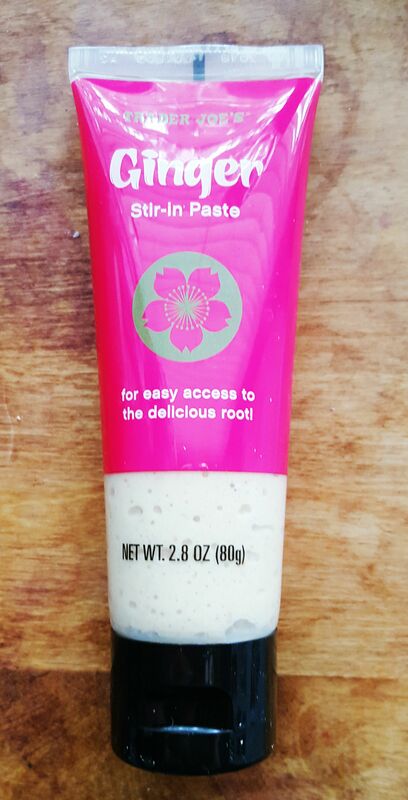 Also, squeeze-tube ginger is the best for blending, total flavor punch which I love! 1/2 cup frozen other fruit of choice (peaches, strawberries, blueberries, banana) or any combo you prefer. Or, do a whole cup of just mango. 1 squeeze of ginger, if you like ginger make it a big old squeeze, if you don’t love it make it a little squeeze, or skip it. Optional – dash of chili powder – if I’m feeling spicy I add it. Optional – dollop of honey, I don’t like sweet things so I skip this, but have tried it once and it was good. About 2 cups of water, or 1 1/2 cups water and 1/2 cup of juice such as mango or apple. Blend it all up, put it in a glass and enjoy! The only “problem” with this blend is you get spinach and kale stuck in your teeth, so floss! I have a new favorite thing… it’s a Meatball Bar! While I can’t take credit for the idea (I watched The Kitchen and they did a Meatball Bar) I can tell you it’s the easiest way to serve a lot of people, and assure there is something for everyone. Well, maybe not the vegetarian, but our party was made up of all meat eaters, so it worked! My little meatball bar set up. For real, I don’t know of an easier way to feed a lot of people, without being stuck in the kitchen, during the party…and when we are serving wine, or any alcohol I try to make sure there is something of substance for people to eat, and this was perfect. 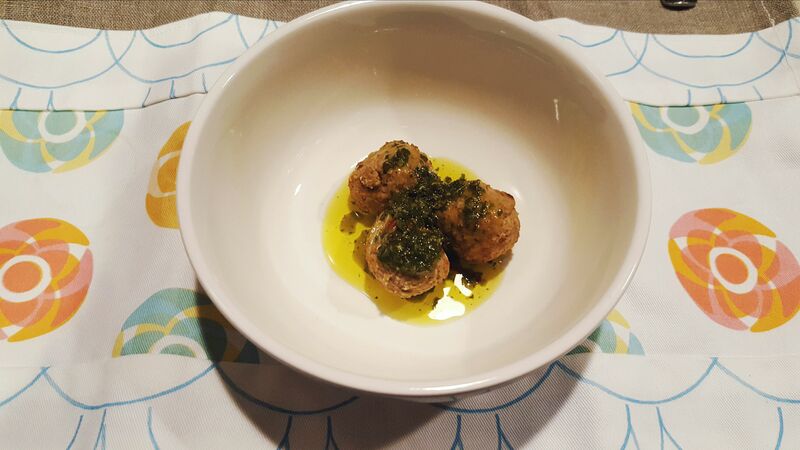 I got a bag of frozen Italian meatballs from Costco, cooked them up, in batches, in the microwave, and then put the in my IP (pressure cooker) on hold warm, and never thought about them again. For sauces I did a jarred marinara sauce that I added cooked onion, garlic and Italian seasoning to (just an FYI I find the Kirkland brand, at Costco, to be very sharp tomato flavor, next time I will go with a different brand) stuck it in my slow cooker on hold warm, and never looked at it again. Chimichurri for the win! I could put it on anything! 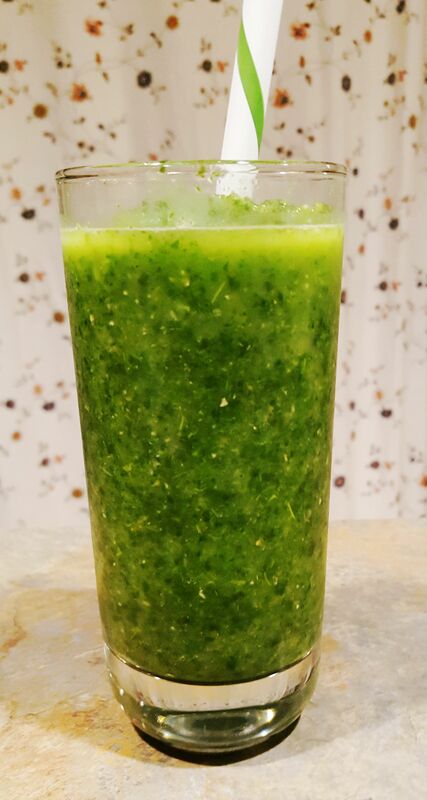 Lastly I made my favorite chimichurri sauce, I can’t share the recipe because you have to be a subscriber to Americas Test Kitchen to get it, but here is one that is very similar: Argentine Chimichurri Sauce and called it a day (actually it didn’t take all day, only about an hour). Party people could serve themselves and pick the sauce they wanted, and I was able to enjoy the party, and not be in and out of the kitchen re-filling or cooking more food. It was perfect! I love this idea so much, and the sauces can be switched out for whatever you want…BBQ, alfredo, teriyaki, A1 sauce, peanut sauce…I mean it goes on and on! For sure my new party go-to when I’m hosting! Tis’ The Season for Turkey Soup! One of the best parts about Thanksgiving dinner is eating the leftovers for days, and days, and days…and turning the carcass and leftover meat into Turkey Soup! I combined a few recipes, and added some things of my own, so I think it’s safe to say that while the inspiration for for my Turkey Frame Soup came from the Better Homes New Cookbook, the following recipe is my own. Don’t forget to pick up what you need for the soup while shopping for Thanksgiving dinner! I could have added even more water as it was not really a soup by day 3, but it still tasted amazing! 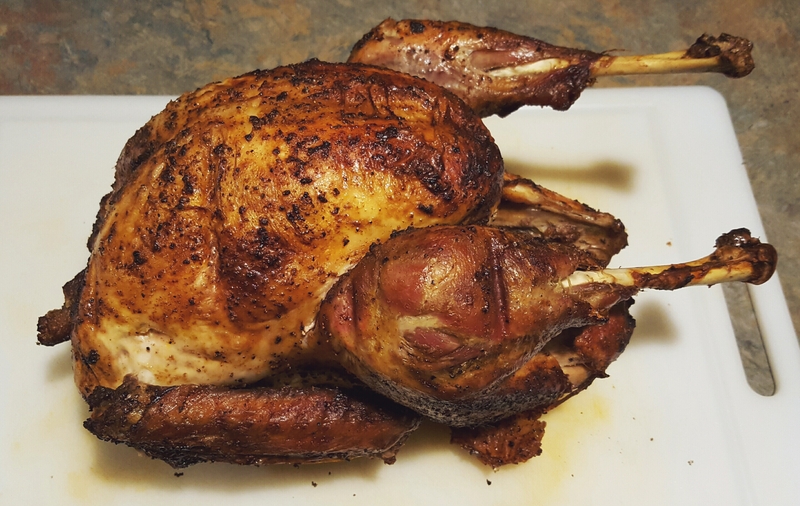 Break turkey frame or cut in half and place in a large dutch oven or soup pot. Add water, onion, garlic powder, salt, and pepper. Bring to boiling; reduce heat. Cover and simmer for 1 1/2 hours. Remove turkey frame, and let cool. Once cool cut meat off bones and coarsely chop. Add additional left-over turkey meat to equal at least 2 cups. Set meat aside. Discard bones. Strain broth through a sieve and discard solids. Return broth to dutch oven or soup pot. stir poultry seasoning herbs, and salt and pepper to taste. Stir in vegetables. Return to boiling; reduce heat; cover, and simmer for 15 minutes. Stir in turkey, and cooked rice, and heat through. 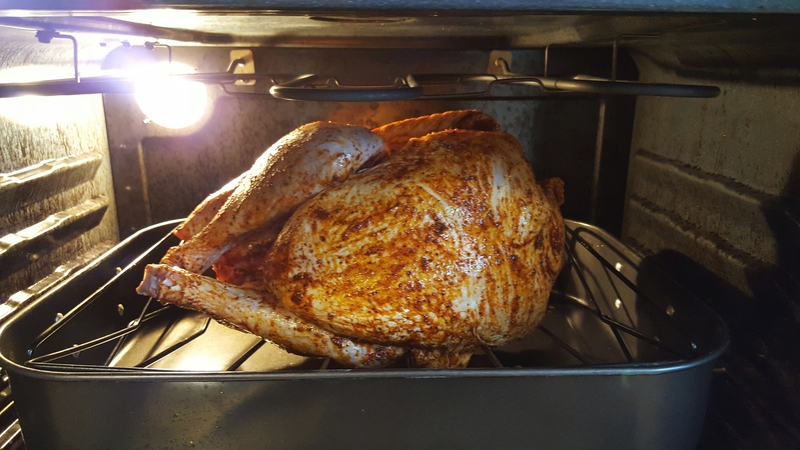 This held up well to re-heating, and the best part was the 5 year old loved it as much as the adults did!